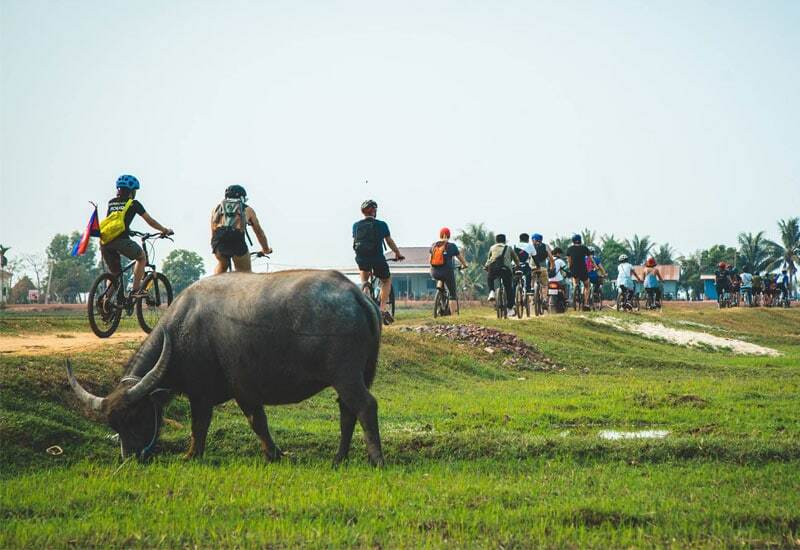 This tour is designed to visit Angkor Wat different way that you can benefit from being on a bicycle and absorb the real bird-eye views and fresh air in the jungle of Angkor complex. The ride will take you on the charming backroads and jungle trails, the beautiful temple appears amazingly just in front when pushing out from the trails. 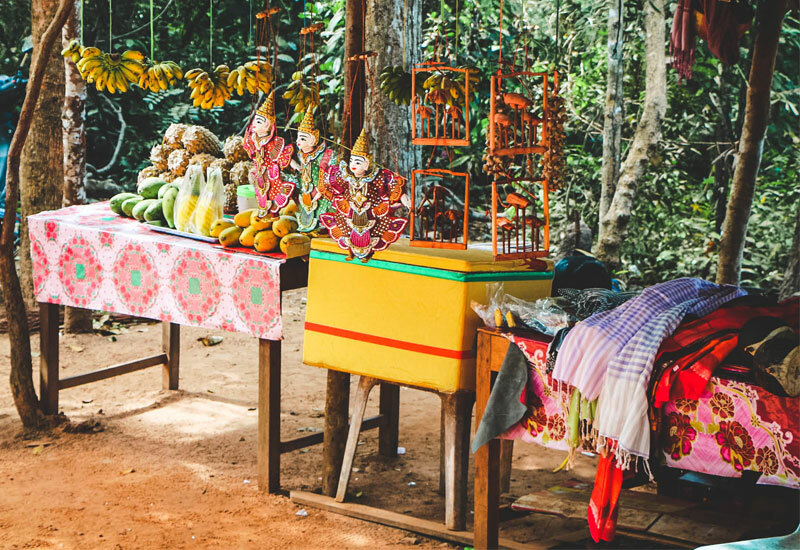 By assimilating and enjoying through the jungle trails, it also takes you through the narrow country lanes and dirt roads pass Cambodian countryside to the National Park of Kulen Mountain and the Thousand Lingas. 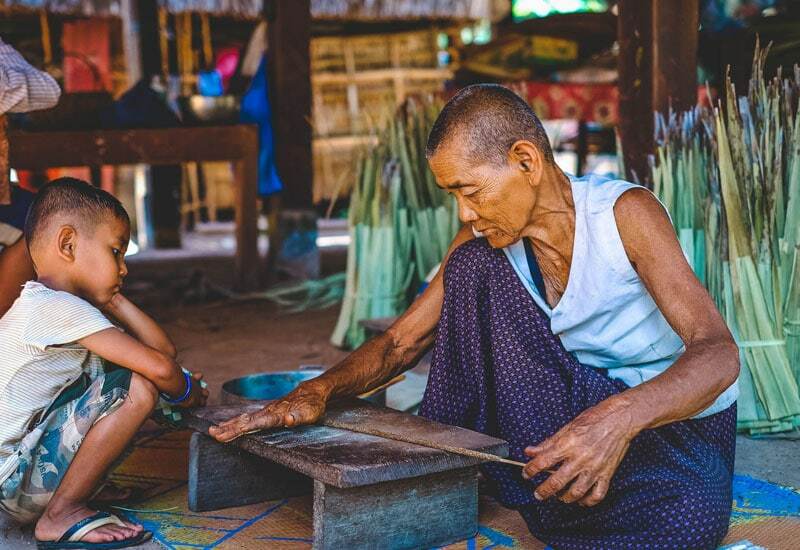 The last day of this trip will take apart to the Great Lake of Tonle Sap, where you can observe the real activities of Cambodian spending their lives on the floating village. Pick up from the hotel or meet up at our bike depot for bike fitting and safety briefing. You will then start biking the morning temple exploration at the most illustrious temple with fewer crowds. First, you will visit Ta Prohm which is unique in that it has been left largely as it was found – overgrown by jungle trees and vines, with many parts of the temple crumbling to the ground. 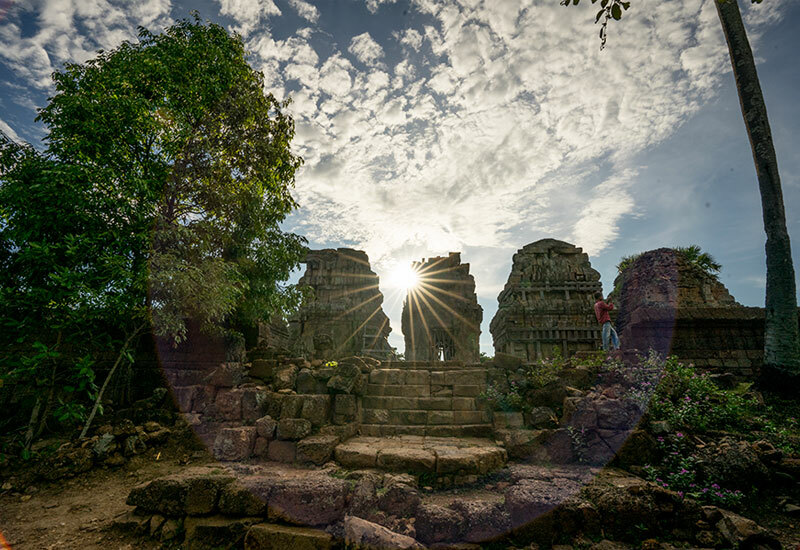 This makes the so-called Tomb Raider Temple, as it was used during the filming of the movie, one of the most picturesque and memorable temples of the Angkor complex. 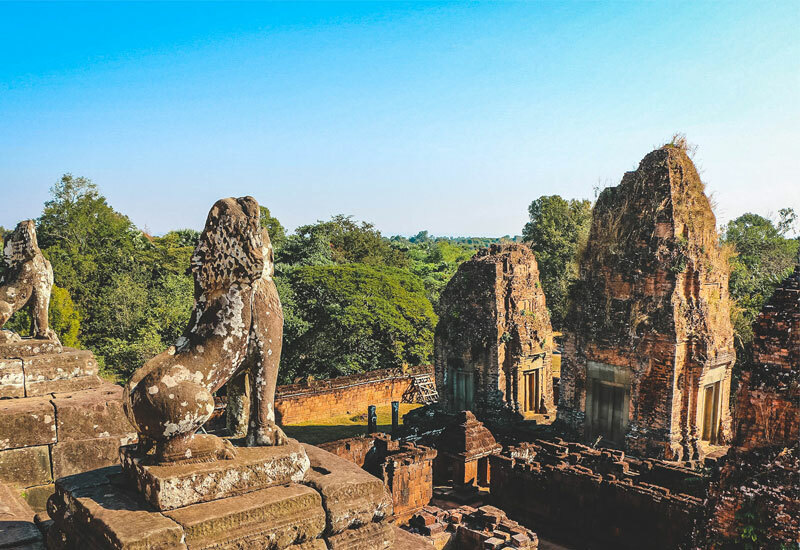 You will then head out to the ancient city of Angkor Thom, enter the city through the ancient Gate, an impressive stone gate carved with elephants and four giant faces. 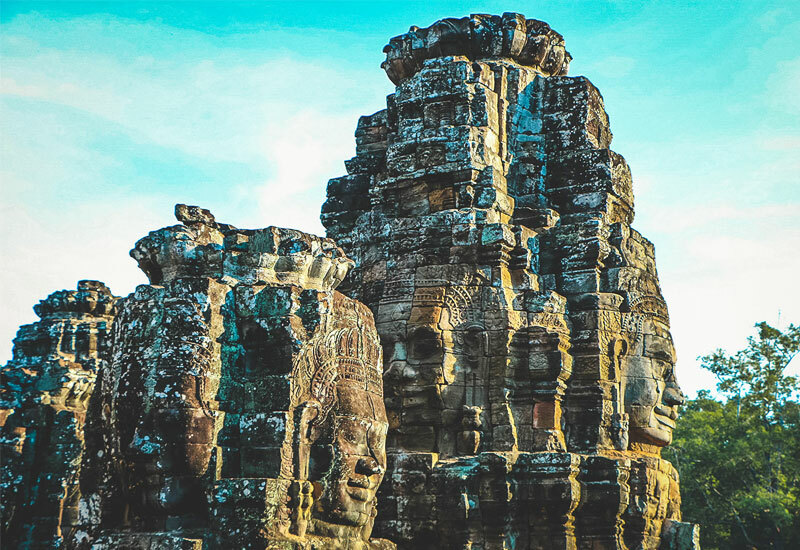 From here, continue to Bayon Temple, found in the center of the city famed as the enigmatic faces representing the 54 provinces of the Great Khmer Empire. The Terrace of the Elephants and the Terrace of the Leper King are also must-visits as they are both known for their intricate bas-reliefs. 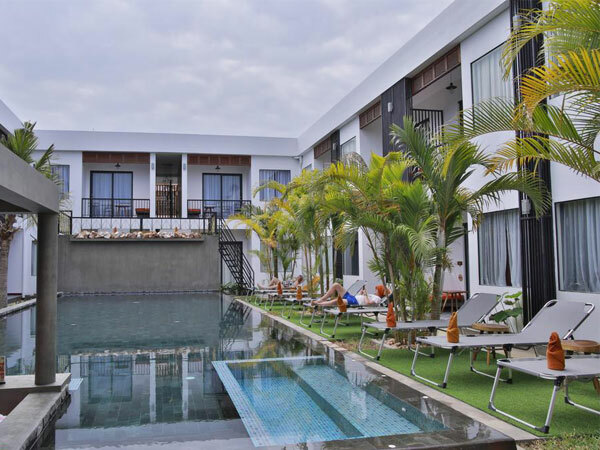 You will take a break at lunch and stop at the local restaurant to enjoy tasteful Cambodian dishes. Lastly, you will bike to the gem of the Angkor complex, Angkor Wat. Following your tour leader, you will be mesmerized by the rich history and symbolism of this unique ancient temple. Afterwards, you will return to your hotel. Depart from your hotel in the morning on the adventure ride through the scenic land all the way to Kulen Mountain. 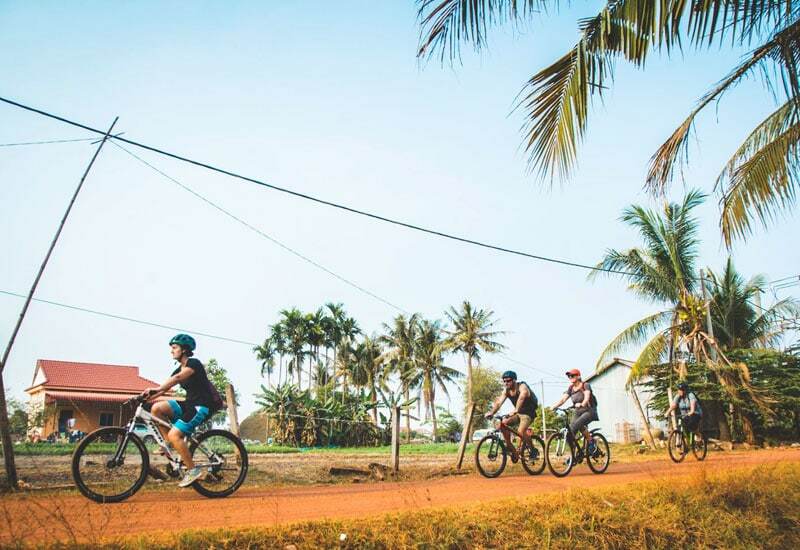 Along the way, you will cycle past the local markets, schools, Buddhist temples, and the stylish Khmer wooden houses where you’ll gain more information about local ways of life in Siem Reap. When we arrive at the National Park, you will trek uphill into the jungle trail for 7 km to the waterfall and the River of Thousand Lingas. You can see the carvings on the river bed and waterfall before returning back to town in the evening. 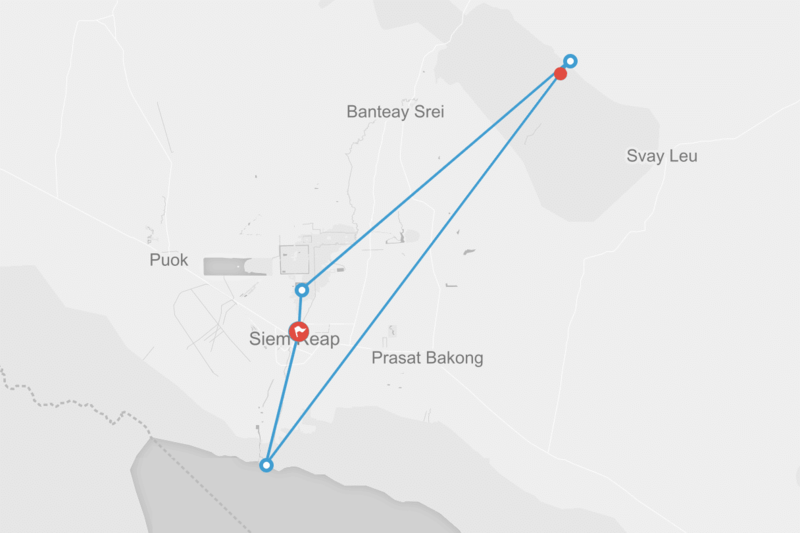 Today, after having breakfast we will depart at 9 am to discover the great landscape of Tonle Sap lake. We will take you on the charming backroads in order to explore the different side of in Siem Reap village. You will be greeted by friendly locals and get a deeper understanding of their lives and traditions. 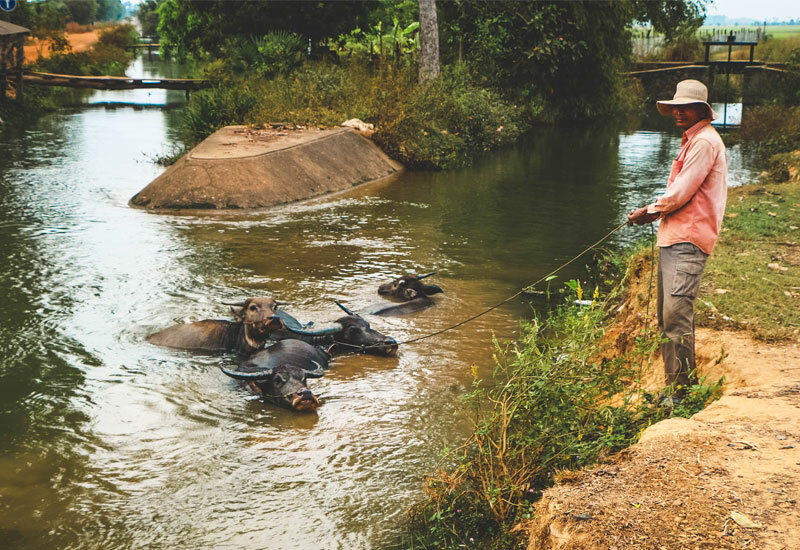 The journey will end at the Tonle Sap lake, where you will experience the livelihoods of Cambodian people living in the floating villages, offering you the opportunity to see how families adapt their life to living on the water. 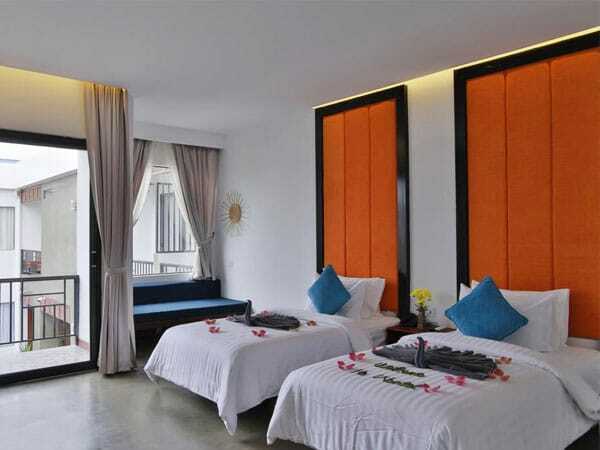 Each and every night you will retreat to Central Corner D’ Angkor. 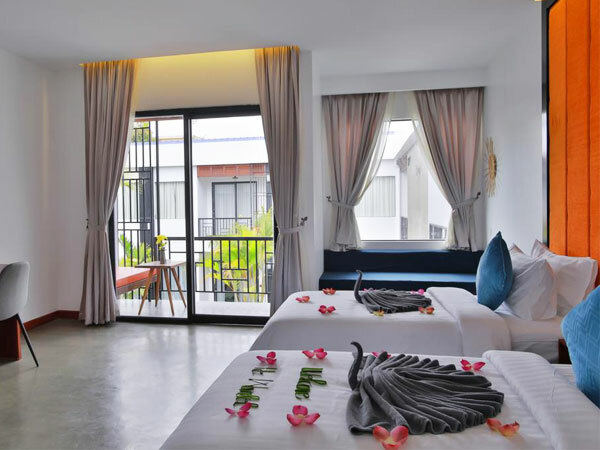 Accommodation in a shared twin or shared double room in our selected hotel. 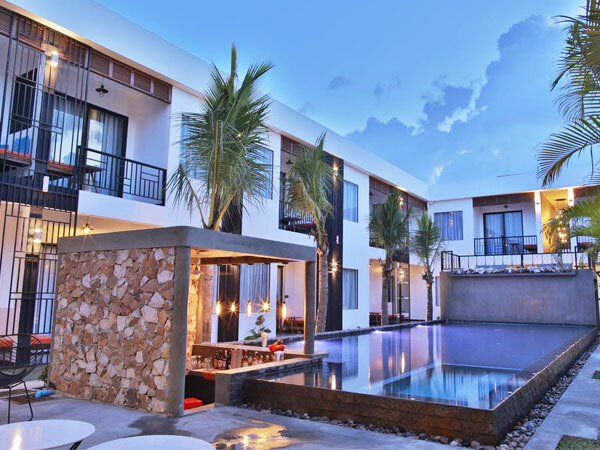 These are recommended properties only – You can mix hotel categories throughout your holiday. 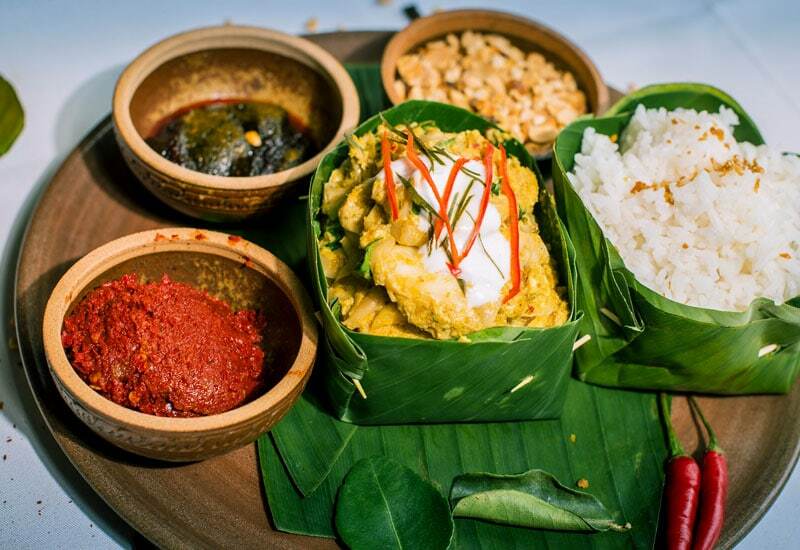 Meals are characterized by fresh, seasonal ingredients, prepared in a simple, classic style of Cambodia. Food & cooking course is offering bountiful selections of local specialities and feature hand-made food among other favourites. Each activity comes with an experienced tour leader responsible for offering local insight, pursuing great experiences and make every tour exceptional. They are trained to make your trip magical. We know that it’s the unexpected surprises that make a trip memorable. That’s why our guides pride themselves on anticipating your needs before you ask. The terrain is varied, mainly flat and follows by the mixture of tarmac roads and dirt roads passing the countryside & Angkor complex. We cycle on backroads with lovely open landscapes and leisurely with plenty of stops to rest or take photos. Our Siem Reaper guides can also easily accommodate type riders, who seek less ride with a boost in the van. This tour is tailor-made to suit cyclists of all levels of experience, fitness, and all ages with different backgrounds. Siem Reaper require all of the cyclists to enjoy the challenges but should respect everyone’s limits of cycling. The tours are designed so everyone can go at their own pace, and bear in mind that this is not a race. Travel insurance is not covered in the tour price. You can organize travel insurance with your preferred insurance company. 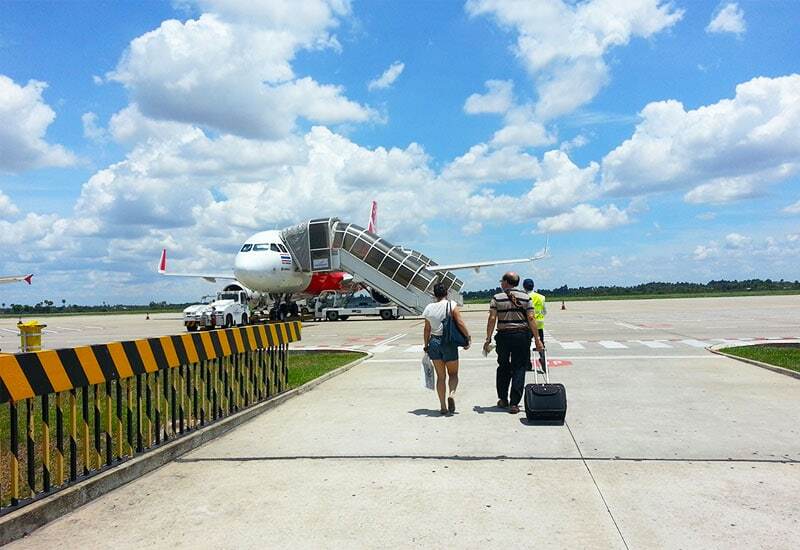 As medical facilities in Cambodia are rather limited, so it is imperative for you to take out a good medical insurance policy when travelling. We strongly recommend that you ride a mountain bike for our trips involved in asphalt, dirt, and backroads that some are sandy and rocky. If you are much more comfortable with your own staffs, we highly suggest bringing such as pedal, saddle, helmets, and water bottle. Our mechanic will adjust to your bikes and personal staff. 3 Days of Discovery Angkor temples! The tour exceeded expectations. Borith and Sokvuth were excellent guides. They were warm, knowledgeable, enthusiastic, and attentive. They were flexible with the itinerary, responding to my desires and needs. They even included a few extra visit stops and snacks. 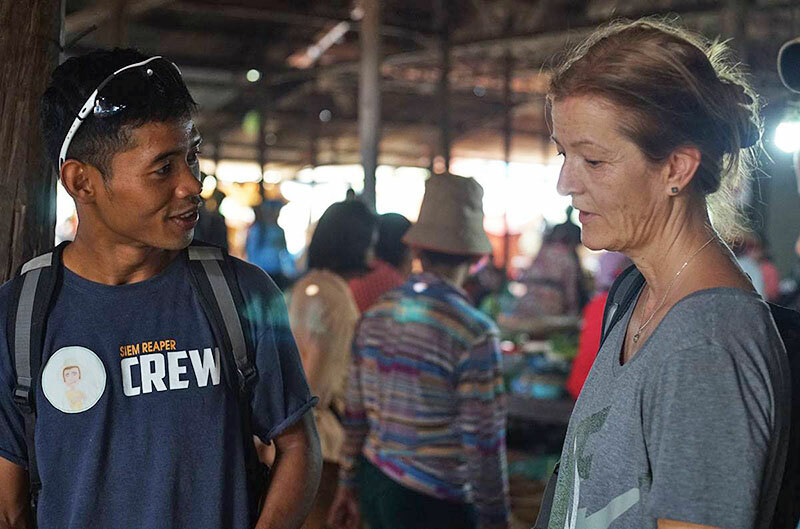 It was clear that through their work that they truly want to give you a taste of their culture and people and leave you at the end as their new friend. 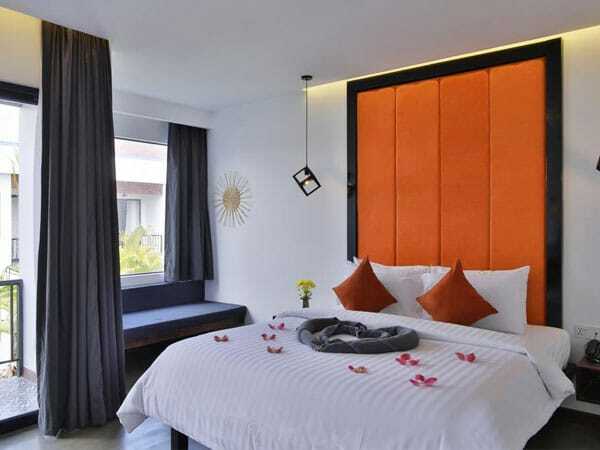 The company is a fully Cambodian run and has a wonderful philosophy of supporting as many locals as possible through their company.